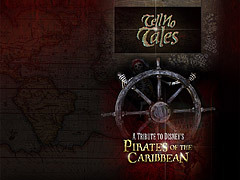 Pirates of the Caribbean Desktop Treasures! 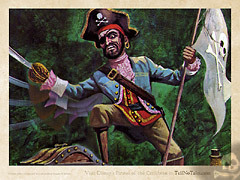 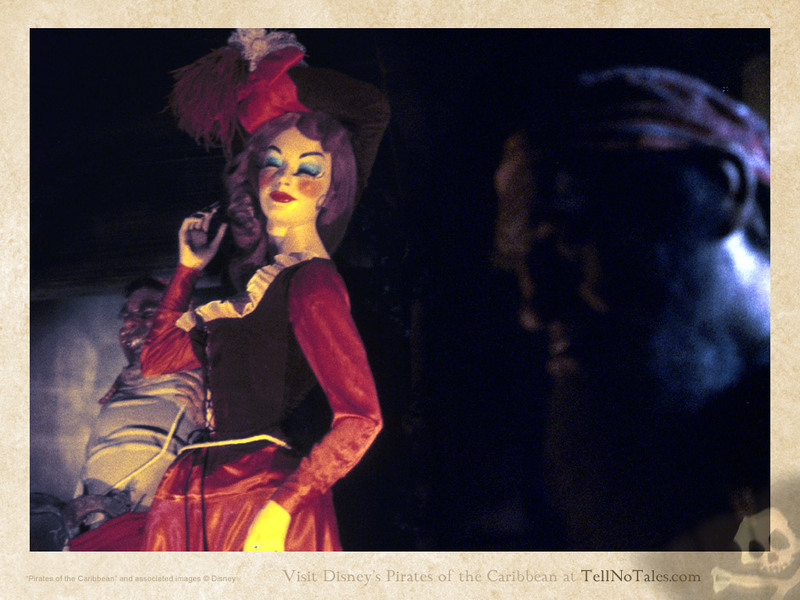 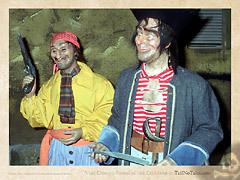 Enjoy these rare images and exciting scenes from Disney's Pirates of the Caribbean on your computer desktop! 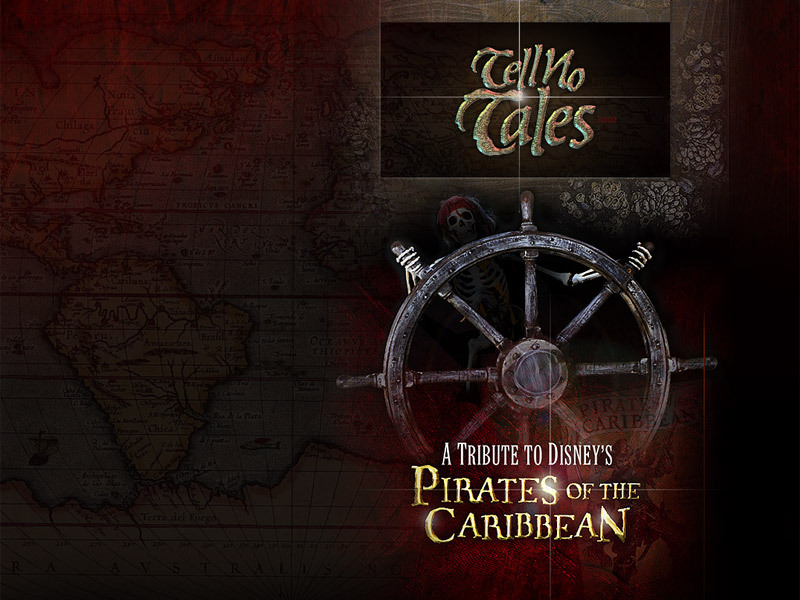 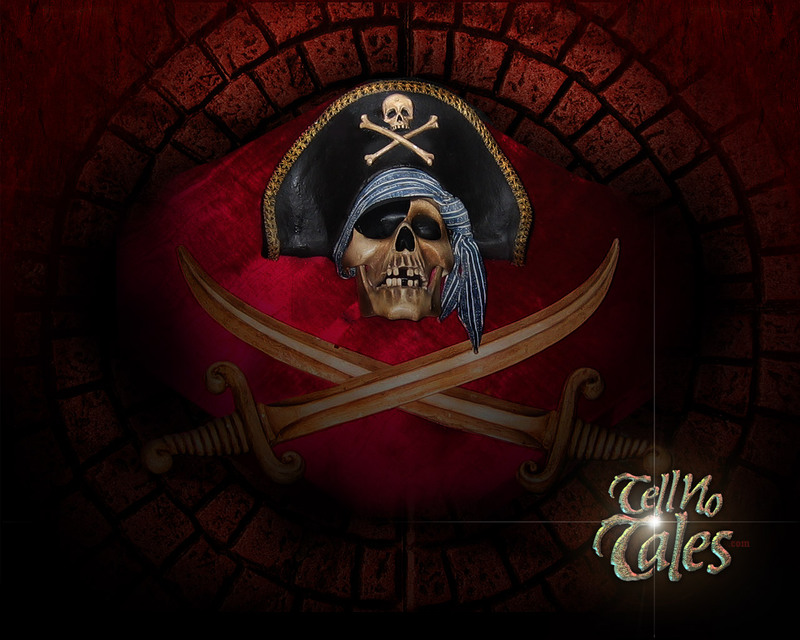 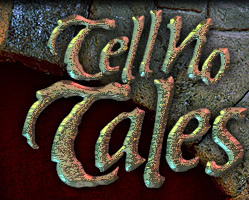 Enjoy this swashbucklin' set of icons (created exclusively for TellNoTales.com by The Disney Experience) or these fun wallpaper files that will keep you sailin' the Spanish Main all day long! Pirates of the Caribbean Windows Icons! Download these exclusive icons (instructions for use are included) to add salty fun to your desktop! 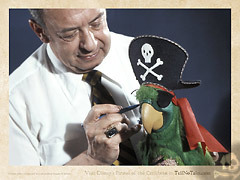 And for other original Disney icons, stop by The Disney Experience! Instructions for wallpaper use: First, click on the wallpaper size you wish to download (800 for laptop/15-inch monitors, or 1024 or 1280 for larger screens). 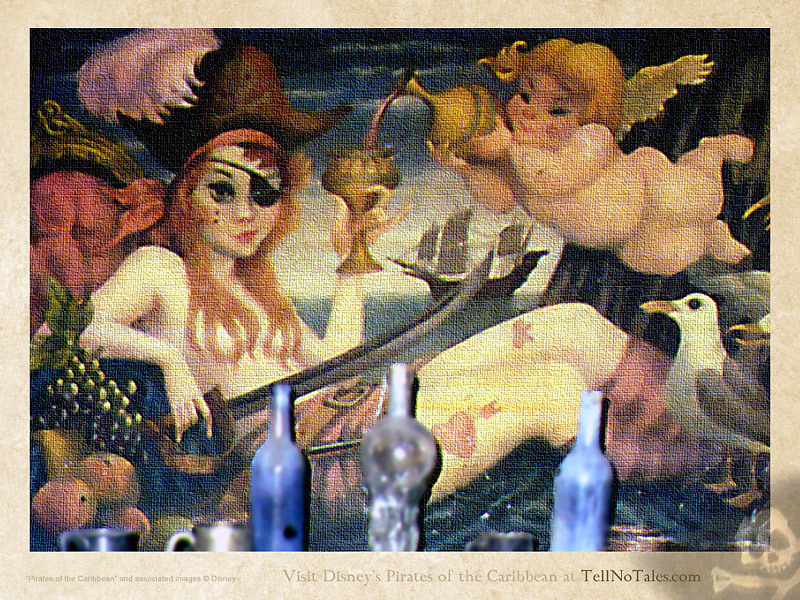 Windows: Right click on the downloaded image, then select "Set as Wallpaper" Mac: Save downloaded image to your hard drive, then select it as your background. Note: Please do not use any of these images for anything other than desktop wallpaper for your personal computer, and please do not redistribute them in any way. 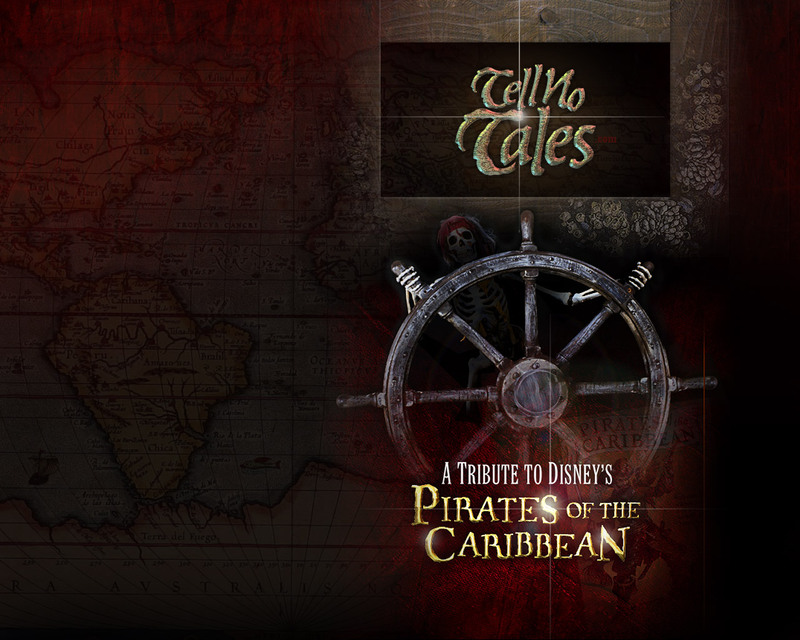 Download this package, which contains a free program to turn your Windows desktop into a reflective pool, perfectly suited for this desktop image of a boat preparing to float through the burning Caribbean town!